Recording a new song with Loreen and Lord G:son. 20 million streams in Sweden. We won the Marcel Bezençon Award! Just before the grand finale of Eurovision Song Contest 2012 me and Thomas received the Marcel Bezençon award for the best song. It was decided by all participating song writers. What an honor! 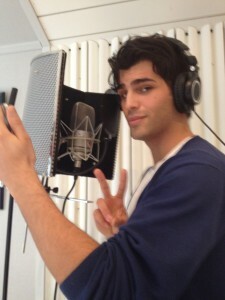 Tooji from Norway in the studio writing and recording a new song for his album. will vote with their hearts. even stronger songs and better artists this year. no matter what the outcome will be, someone or both of my artists will get hurt. best. They deserve to win. No matter how it ends, they are both winners in my eyes. to the artists but my fellow song writers as well. the Hulk of melodies. In a good way. Thank you both for all the laughs and good times in the studio. proud of him. He really pulled it off! My ticket to Baku was a fact! tears to my eyes. His commitment is unbelievable. He is a true role model. Regardless of the result on Saturday, I will proudly represent Norway in Azerbaijan. I will not go there as a Swede. I will go as a Scandinavian. Ok, seven months and no update? Shame on me. 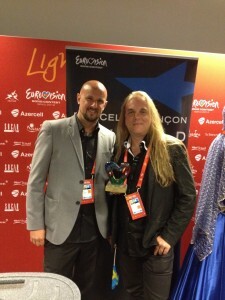 It has been a hectic couple of months finishing the songs for Melodifestivalen 2012. I have cowritten and produced ”I din himmel” with Sonja Aldén, ”Euphoria” with Loreen and ”Amazing” with Danny. I am pretty proud of them and I wish them all the best of luck in the upcoming events. I will visit Växjö, Gothenburg and Malmö the next few weeks. I hope everything goes well for Too Ji in Norway. He will be competing in Florö the same day as the Växjö show. If he makes it to the finals in Oslo, I will be there cheering! 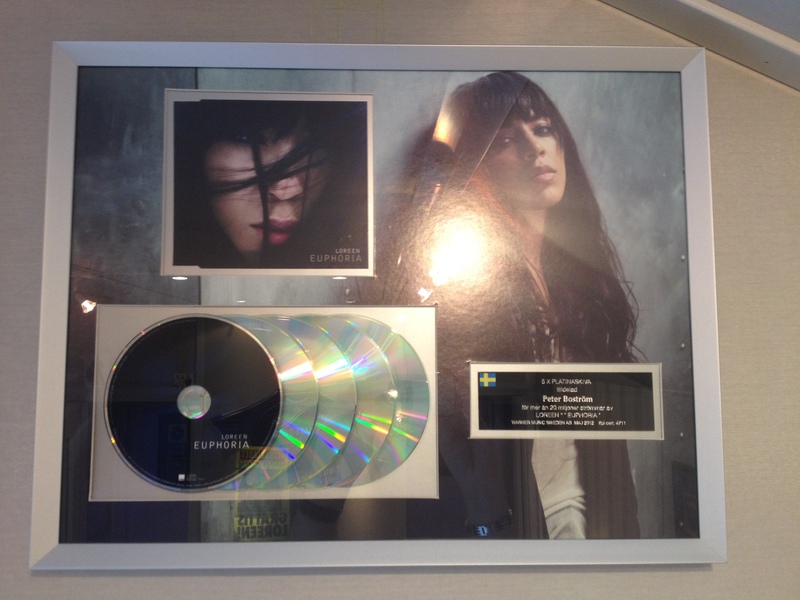 I cowrote and produced his song ”Stay” with Too Ji himself and Figge Boström. I also did some work for the Så Mycket Bättre TV-show. I produced ”Live Tomorrow” with Lena Ph and ”Jag är gud” with E-type. Great fun! Speaking of Lena, I also produced two songs for her upcoming album ”Dul följer väl med” and ”Världen snurrar”. A lot of stuff has been going on lately. Remakes of Viktorious ”When we were 10″, Roxettes ”Speak to me” and Hurts ”Sunday” are all done. 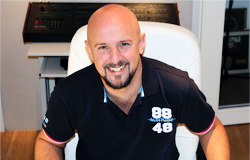 I also produced Martins Stenmarcks new single ”Tonight’s the night”. Keep an ear out for them on the radio! I was writing a lot of new songs during the last months of 2010, so there wasn’t as many productions hitting the radio as I wanted. However, it seem to have paid off. I cowrote Danny Saucedos ”In da Club” and Sanna Nielsens ”I’m in Love” which both ended up going straight to the final in the Swedish Melodifestivalen. I produced both of them and Eric Saades ”Popular” as well. 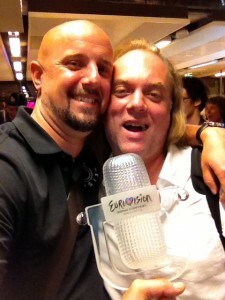 My production of ”Everybody’s changing” (originally by Keane) with Martin Stenmarck worked pretty well on the radio. I made remakes of Salem al Fakirs ”Split my Personality” as well as ”Worn out sail” by Kim Fransson. The latter is about to hit the radios. I also finished the production of ”Headlines”. This time I made it for Anders Fernette. That boy can sing for real! Right now I’m working on a few new radio versions, remakes, for some really good Swedish acts. Since my last update, I finished the production of two more songs for Eric Saade titled ”Upgrade” and ”It’s gonna rain”. They’re on his debut album ”Masquerade” along with Manboy and Sleepless. I had the opportunity to make a radio version (”remake” as I like to call them, ”remixes” are for the dancefloor) for Johnossi. Their brilliant song ”What’s the point” is now also a Bassflow Remake. 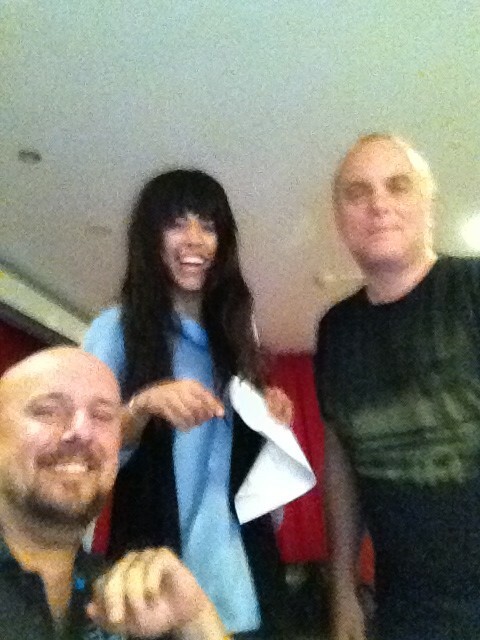 I am currently working with Martin Stenmarck, Mauro Scocco and Velvet Code. During summer there is a lot of writing that has to be done. Looking forward to some cowrites with some of Swedens finest! 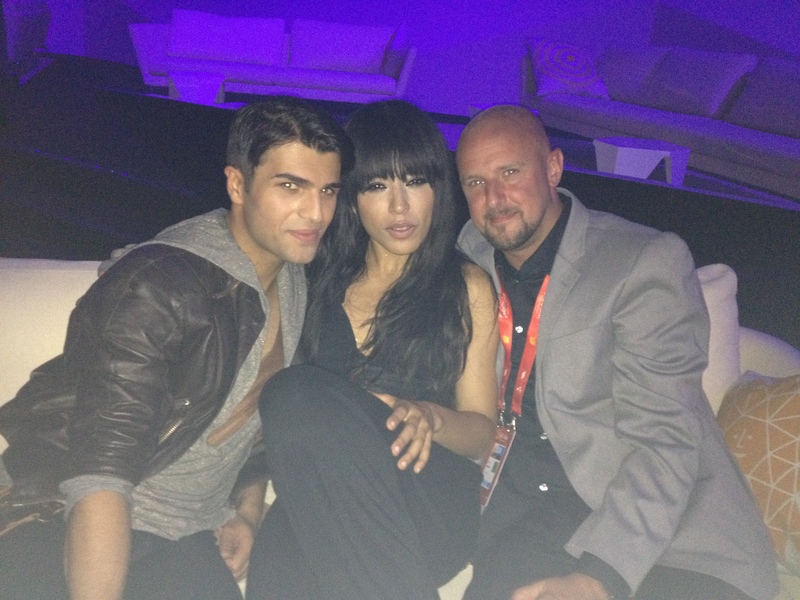 I had a great time at Melodifestivalen. During those five weeks I met a lot of wonderful people. Some old friends, some new friends. Our ”Manboy”, Eric Saade, finished second runner up. I’m proud of him and everyone involved. Speaking of Manboy, -it passed gold status within three weeks! That’s pretty quick! And speaking of Eric, I’m in the middle of working with his album. I think there will be five songs in total from me, including Manboy and Sleepless. I recently finished a remake of ”Another Day in Paradise” by DiLeva. Björn Engelmann did the mastering as usual. He’s the best! And of course, a big shout goes out to Pontus Söderqvist. The best musician I know (I work with him all the time), as well as the creator of this site. Thanks Pontus! May your SAMI payments be gloriously huge! Captains log, stardate 13251543. At least it feels like years since I spent some quality time with family and friends. Being ”on the road” with Melodifestivalen is crazy! Pretty exhausting, but still worth every minute of it. The second quarter final in Sandviken went brilliant. A new star was born the same second the cameras zoomed in on Eric Saade. He sang, danced and showered his way all the way to the finals. Alcazar were up next, in Gothenburg. Whenever they’re entering the stage you can be sure that they deliver 100%. They sure did with our song ”Headlines”, but the opposition were too strong. A place in the semifinal though, -good work! Lovestoned performed with the song ”Thursdays” this weekend in Malmö, and boy -am I proud of them?! Unfortunately they ended up on the sixth place. I feel for them, but I think that the song will grow on people as well as the radio. This coming weekend, I’m going to Örebro with Tony and Alcazar for the semifinals. Keep your fingers crossed and if you happen to be able to vote; please do. Wisely! My remake of Donkeyboys ”Ambitions” as well as the radio version of ”Gloria” by Mando Diao have been doing great on the radio and on the charts! I am currently working on another remake, but I can not yet tell what song or which artist it is. Stay tuned! Happy New Year! I celebrated this cool binary date with the finishing of all versions of the Lovestoned, Eric Saade and Alcazar productions for Melodifestivalen 2010. Now I can sit back and enjoy the ride. Their fate lies in the masses hands now, so if you read this; vote shamelessly for those songs! I can now, at last, start working on a totally different project; Velvet Code. This will be great fun! Finished another remake. This time I had the opportunity to work with Norways finest. No, not Röyksopp. I’m talking about Donkeyboy and their excellent song Ambitions. Svt today announced the complete lineup for Melodifestivalen 2010. As it turns out, I will be seeing some more of Sandviken, Gothenburg and Malmö. Finished a debut single for Eric Saade. The title is Sleepless and will be released mid-end of December. Three songs in the Swedish Melodifestivalen! Peter has co-written ”Headlines” (with Tony Nilsson), ”Thursdays” (with Thomas G:son and Sharon Vaughn) and ”Manboy” (with Fredrik Kempe). Artists and dates TBA. The Bassflow Remake of Martin Stenmarcks ”1000 nålar” is ready for the mastering studio. The Lovestoned project is finished for now. Three songs in total, and their debut single ”Rising Girl” (co-produced by Figge Boström) is hitting the airplay charts in Germany. Best of luck! ”Sky’s the limit” is #1! Congrats Ola. The Bassflow Remake of ”Gloria” by Mando Diao is finished. Love the original! The remake is pretty cool too if I may say so..